Tahiti and Apple Bees are just a couple of Nairobi's club known to host all the Strippers in the city. But as it turns out, the famous Skylux lounge is slowly joining the band. 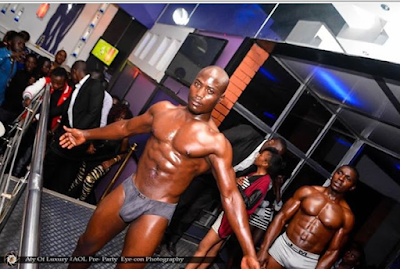 Last week, the club managers organized a surprise treat for all the ladies in the house - not sure if it was an event or what - but all the muscled men were arranged for the ladies to salivate on. here are the photos.